We Make All Preparations For Your Event! From an Unforgettable Wedding to a Spectacular Birthday or if you want to organize an Event or Business Meeting! We have at your disposal a great hall inside the Restaurant Ideal for this type of celebrations. En frequent flyer program, Refers to a loyalty plan that we offer to you as a customer of our hotel. Request this plan by filling all the necessary fields in our contact form from our WebSite. When booking the room of your choice and received your notification! You will receive a 20% discount on any of our rooms, single or family. When checking you must present your air ticket to the receptionist. 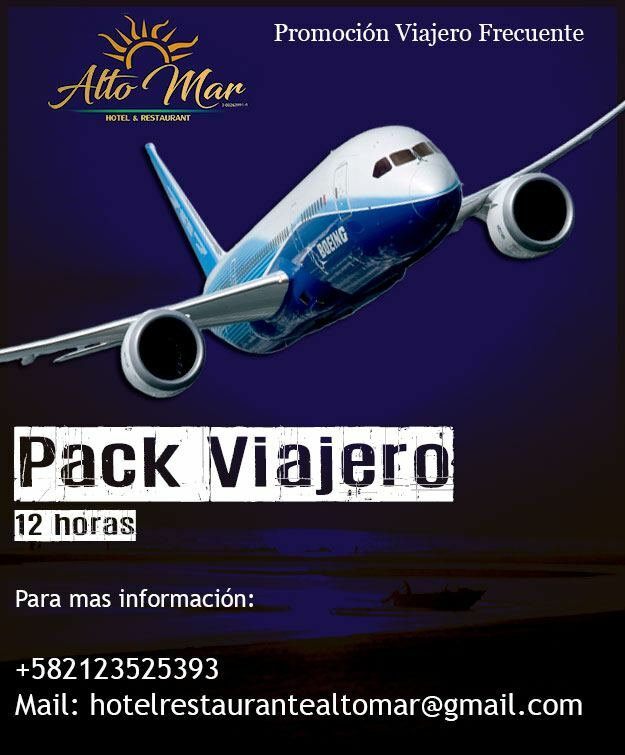 Notifying and requesting the discount for the traveler package. If your stay exceeds 12 hours inside the room? The promotional package in question is canceled. In recent years no hotel has taken into account to offer this service to its frequent clientele. We at your Hotel Alto Mar, always thinking about your comfort! We guarantee the best promotions and packages. WEDDING AT THE SEAFRONT + TRANSFER TO PRIVATE BEACH. WEDDING LOUNGE IN OUR ALTO MAR. WEDDING AND CELEBRATION IN OUR RESTAURANT ALTO MAR. We have assistance in assembly, catering, buffet, music, live groups …. Everything you need is at your disposal and we will organize the rest !!! 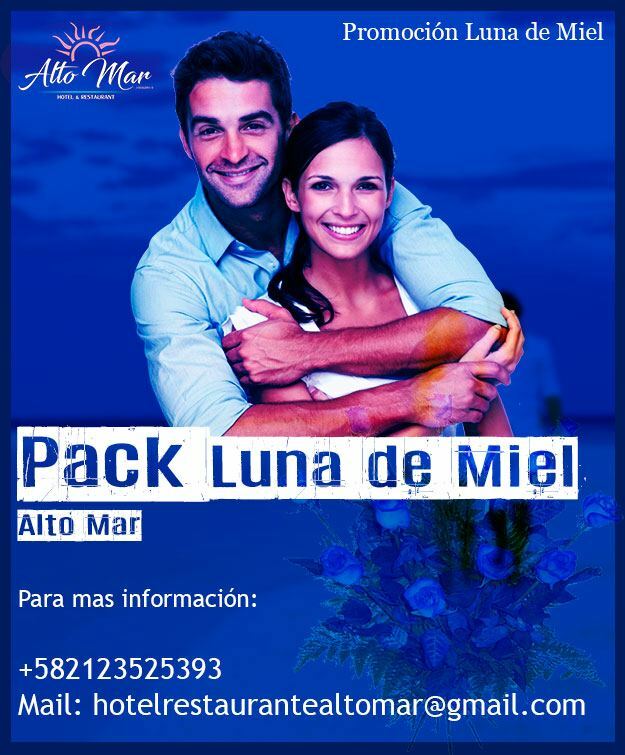 Ask for our PACKAGE HONEYMOON. PACKAGE HONEYMOON: We give you 1 night !! If you stay with us 7 DAYS on your honeymoon we will give you 1 night. You only pay 6. The spacious meeting room is located on the ground floor of the hotel exactly inside the Restaurant area where you will enjoy Air Conditioning with the latest in technology, you can give seminars, meetings of all classes and all with videoconference in total HD.